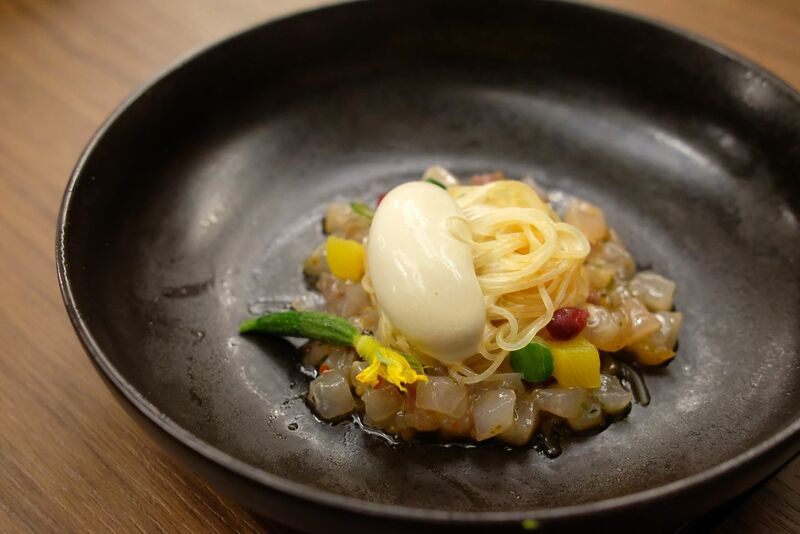 Odette - Is an 8-Course Birthday Dinner for 2 Worth $931.01? 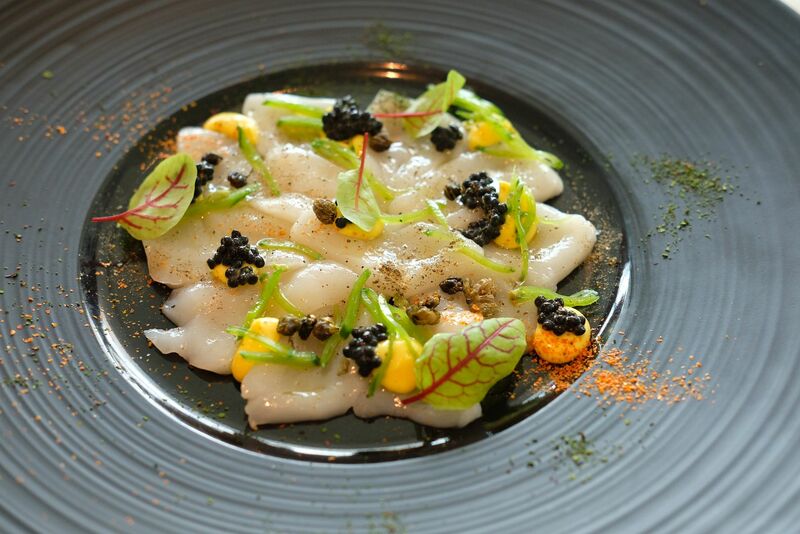 Helmed by Chef Julien Royer, Odette is a 3-year-old fine-dining restaurant that has been awarded 2 Michelin stars in just its first year of operations. 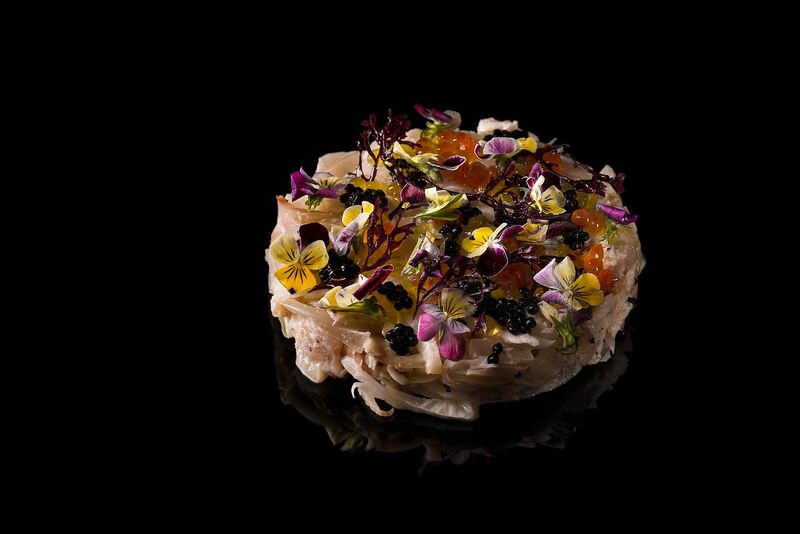 Inspired by Chef Julien's grandmother, Odette, Odette has debuted on Asia's 50 Best Restaurants at 9th place — the highest new entry of all time. And the Best Restaurant in Singapore has also made Singapore proud by ranking 28th in The World's 50 Best Restaurants in 2018. If you've been to Jaan, you'll know that Chef Julien is brilliant, and exceptional in his craft. Sending out contemporary French cuisine in a tastefully decorated space in National Gallery, Chef Julien works under the watchful eye of the world, and aims to deliver what one would expect from an esteemed dining destination that has 2 of the most precious and prestigious stars to its name. 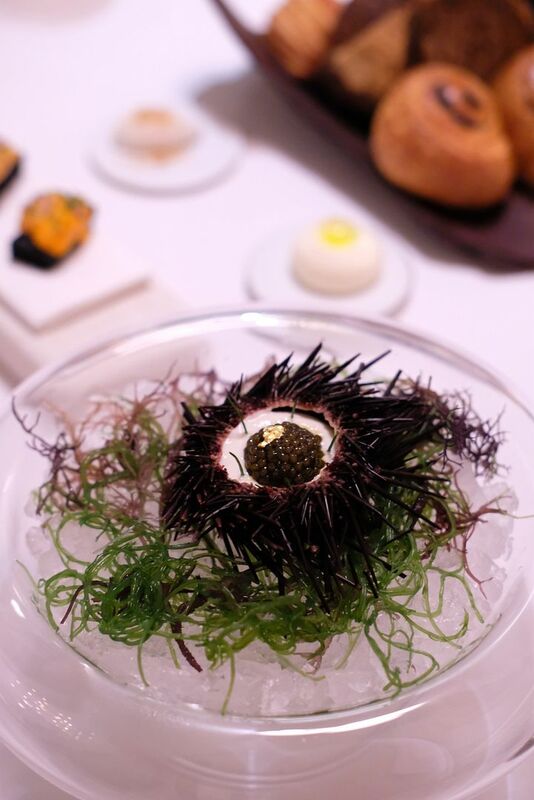 I celebrated my birthday at Odette, and did I feel that the $931.01 bill for 2 people was worth it? Well, read on to find out. Maggie Joan's - Turning 3 with a New Chef and New Menus! If you're a foodie, you'll definitely have, at the very least, heard of Maggie Joan's. Well, it was my first time here, and I have to say that I was blown away. Chef Seumas Smith, the new head chef, has popped over from Moosehead, and is now at the helm of Maggie Joan's. I really like the food at Moosehead, so I know that I was in for a treat at Maggie Joan's too. Using the finest seasonal ingredients from artisanal producers in the creation of every dish, where every component is made from scratch, Chef Seumas brings out the best of every ingredient in his own magical way. I assure you that you'll walk out of Maggie Joan's utterly satisfied, and already planning for a return visit. Amara Sanctuary Resort Sentosa is nestled on a hillside, surrounded by 3.8 hectares of manicured gardens and natural rainforest. 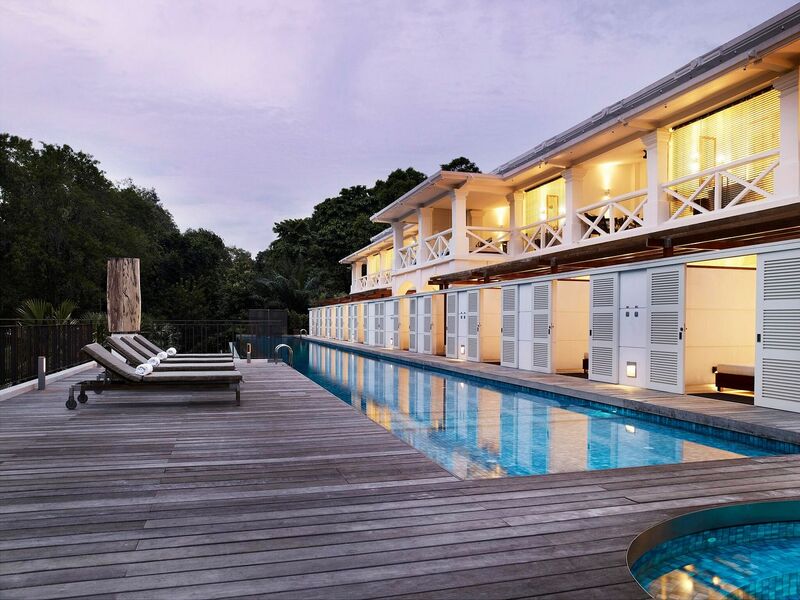 Boasting 140 guest rooms, suites, villas and a mansion, Amara Sanctuary Resort Sentosa is known for its beautifully restored colonial architecture. Built on a piece of 10-acre land, where old British military barracks and air raid shelters stood, Amara Sanctuary has a story to tell. The rich history of the property might not be known to many, but that’s going to change now. The new Amara Heritage Trail—a 60-minute walking trail— allows participants to discover the nature and conservation efforts in the property, learn about World War II related stories, and it also offers a glimpse into the lives of the British soldiers who lived here in the colonial era. Situated in the heart of Kiroro Resort, known for its superb powder skiiing, The Kiroro, Hokkaido is part of Tribute Portfolio, a collection of independent hotels under Marriott International. The Kiroro is located in the village of Akaigawa, Hokkaido, and plays host to a crazy number of guests every year, especially in winter. In December 2016, The Kiroro, Hokkaido unveiled a fresh new look to provide winter enthusiasts a high-end boutique experience to retreat back to after an exciting day out on the snowy slopes. The St. Regis Singapore - Is a Luxurious 5-Star Staycation Here Worth $700? St Regis is all about the finer things in life. 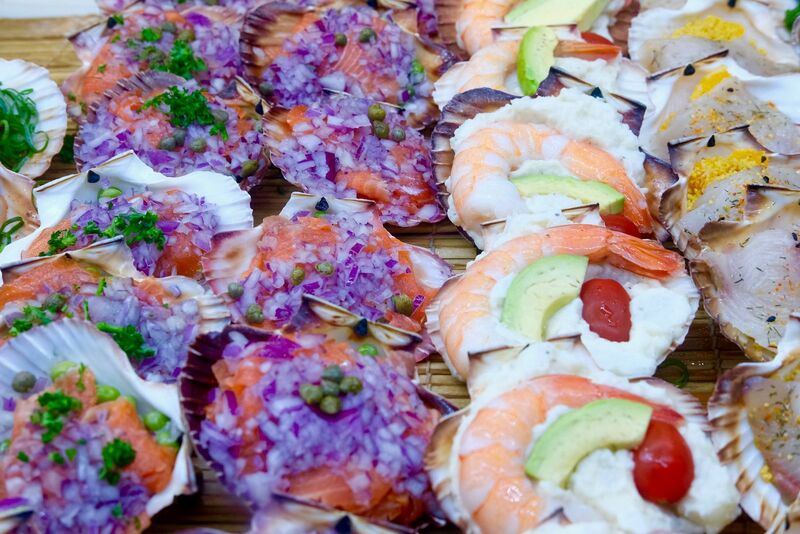 The brand is synonymous with 5-star luxury, exquisite dining experiences, and world class hospitality. A stay here is definitely a dream come true. 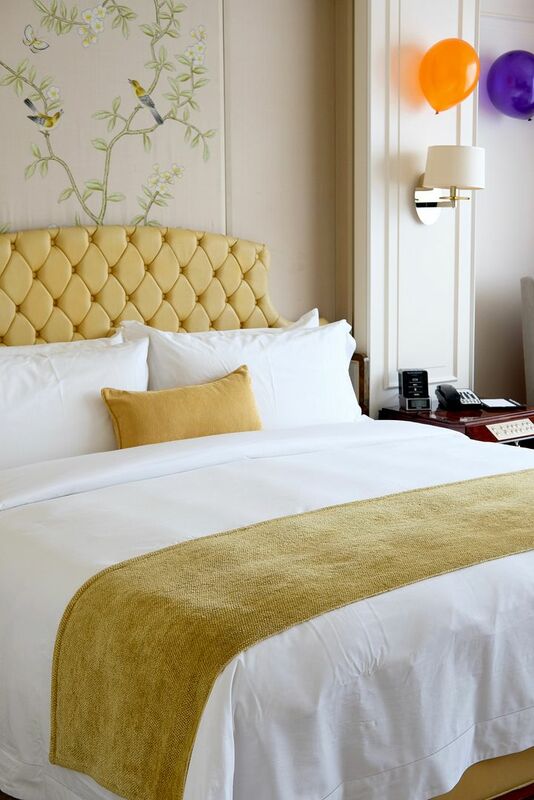 If you've always been thinking about pampering yourself, and your loved ones, with a staycation at St Regis, but are not sure if you should splurge on a stay here, this post is for you. Is this the best 5-star hotel in Singapore for a luxurious staycation? After staying in the hotels in Japan, I have a new found appreciation for the hotel rooms in Singapore. 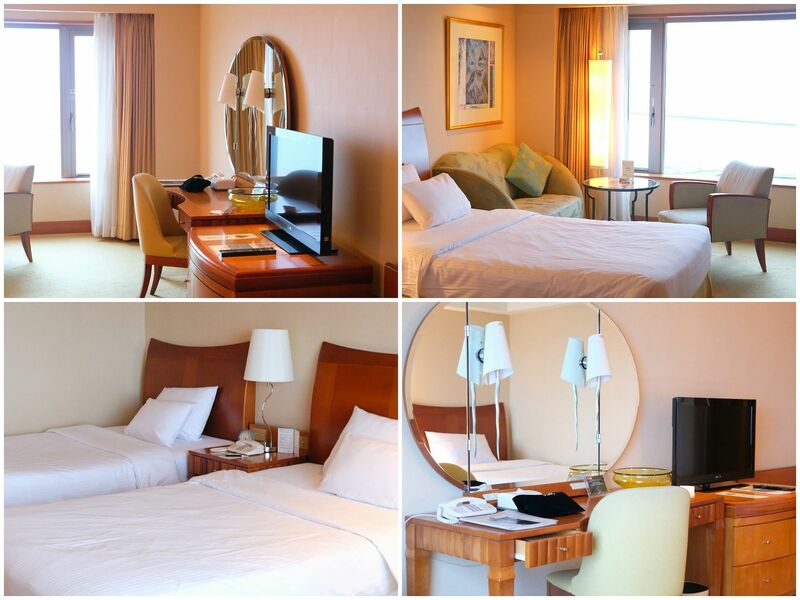 Just look at this gorgeous room in The Westin Singapore that is so spacious, cozy and utterly comfortable. I wish I never had to leave! 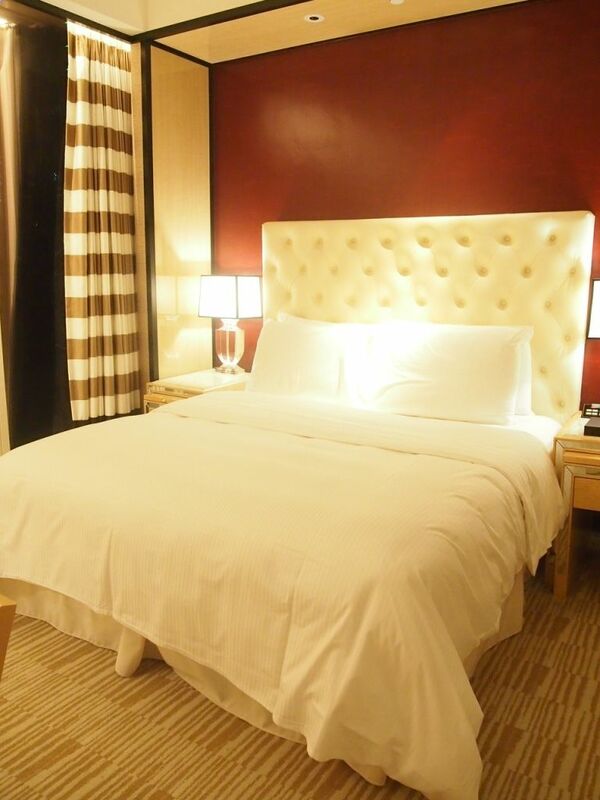 The 5-star Starwood property in the heart of town is ideal for business travelers and holiday-makers alike. Your stay here will definitely be nothing short of amazing! My omakase experiences have gotten, progressively, more expensive. While I was deliberating on where I should bring my best friend for a celebratory omakase meal, I consulted Rubbish Eat Rubbish Grow on his thoughts on the biggest names in the Japanese cuisine scene in Singapore. Here were my options : Shinji, Shoukouwa, Hashida, Tatsuya, Jiro. Nat very patiently went through every option with me, and it was a no-brainer. Hashida, it was. I made a reservation online for lunch on a weekday and made my way to Mandarin Gallery with a racing heart. 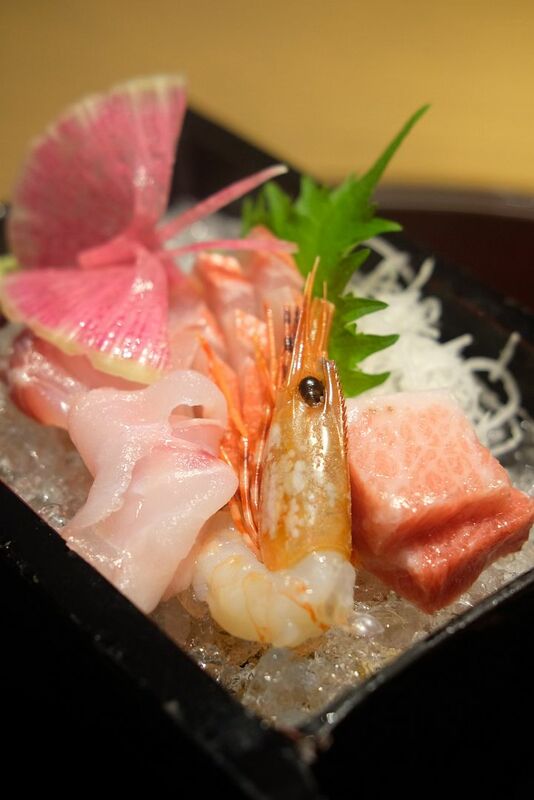 Hashida Sushi was first opened in Tokyo, in 1966, by Master Sushi Chef Tokio Hashida. 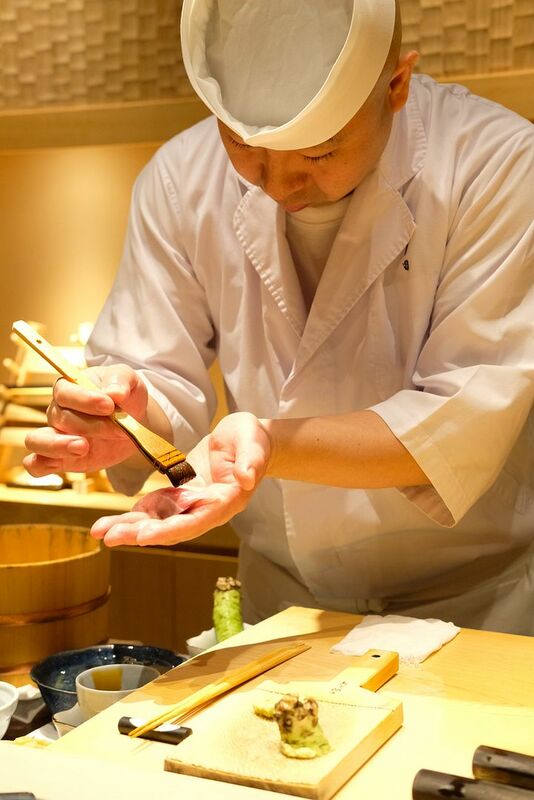 His son, Kenjiro Hashida, is at the helm of Hashida Sushi Singapore. Goodwood Park Hotel is a familiar name to both locals and travellers. The famous 5-star hotel, which was built in the 1900s is one of the oldest hotels in Singapore. Her colonial beauty has been preserved and protected, and the heritage hotel welcomes throngs of visitors throughout the year. I've always thought that staying here would burn a huge hole in my pocket, considering how exclusive it seems, and its proximity to Orchard Road. Surprisingly, a night stay in one of their deluxe rooms on level one, next to the pool, wasn't as pricey as I had imagined. The Strings Hotel is a city lifestyle hotel in Nagoya, the fourth most populated city in Japan. Amenities based on the concepts of “healthy,” “beautiful,” and “refreshing” are offered in all of the guest rooms. From nano water (water purified with nanotechnology), to rain shower equipped baths, to down feather comforters and pillows which have undergone negative ion processing, The Strings promises more than just an impressive stay. The Strings Hotel is located near Sasashima-raibu Station which is a one-minute train ride from the main Nagoya Station. The location is therefore, impeccable. 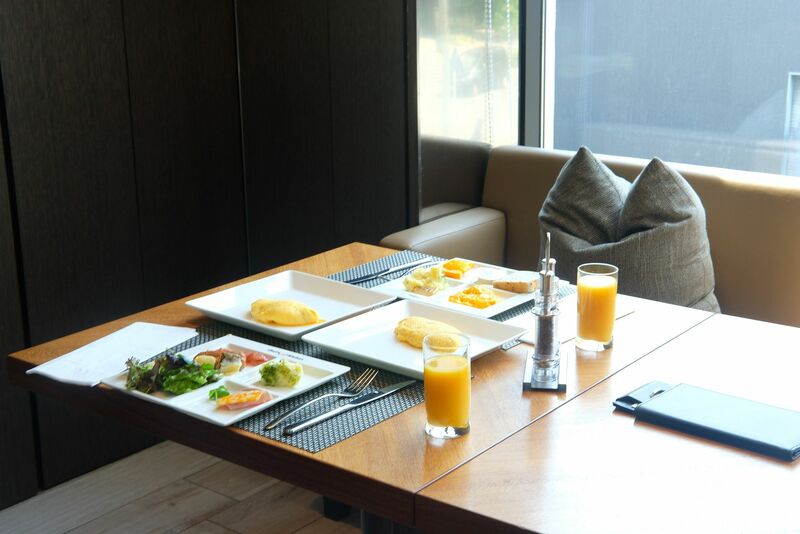 The hotel is also within walking distance of a cinema complex and many eateries. 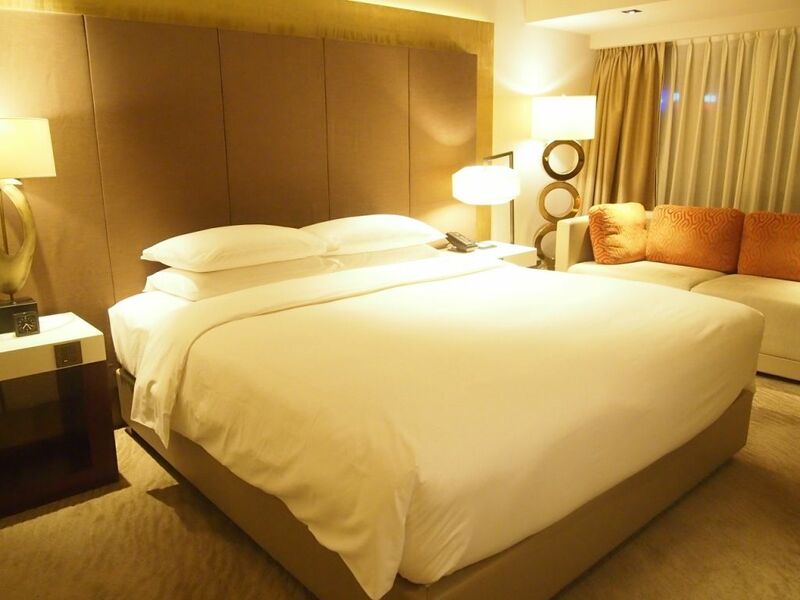 26-year-old Grand Hyatt Taipei is Taipei's first 5-star hotel. The 27-storey luxury hotel has 853 rooms and 9 restaurants and bars. 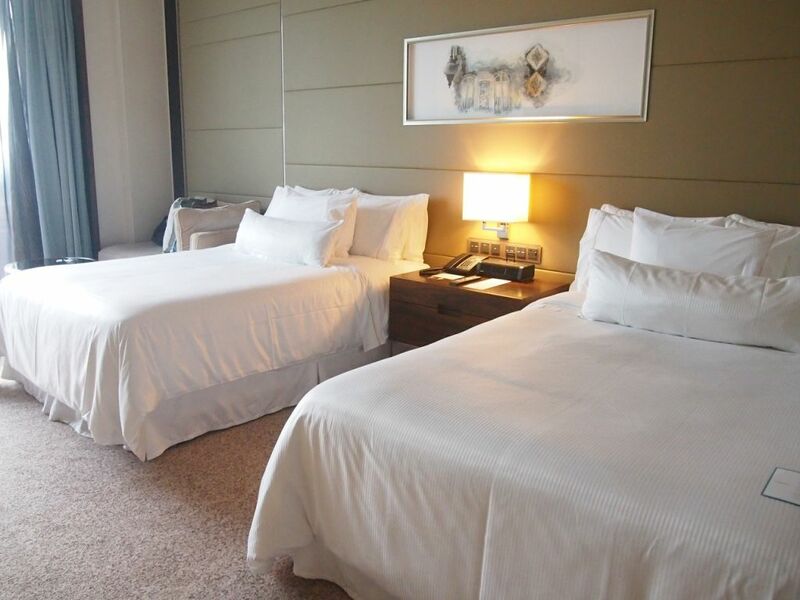 The hotel is almost linked by an overhead bridge to the iconic Taipei 101 and is just a short walk away from the Taipei International Convention Centre. Its location is impeccable, making it a natural hotel choice for tourists and business travellers alike. The elegant hotel has just gone through a $100 million makeover last year, and plans to refurbish the restaurants are in the works. Grand Park Otaru, which is managed by international hotel chain, Park Hotel Group, is the only international luxury hotel in Otaru. The gorgeous 18-storey hotel overlooks Ishikari Bay and the Otaru Marina. 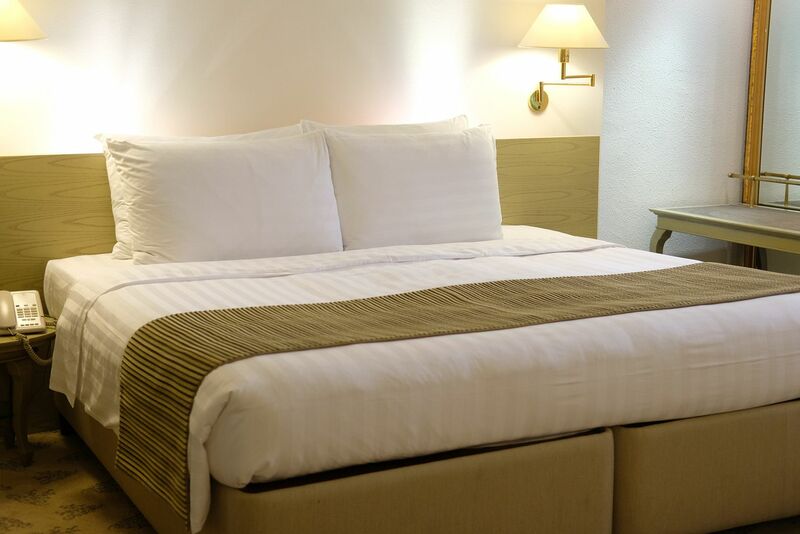 Located conveniently next to the JR Otaru Chikko station and Wing Bay Otaru (one of Hokkaido’s largest shopping malls), the hotel boasts 296 rooms and suites. You can expect stunning views and nothing short of a comfortable stay here. The Gate Hotel Asakusa Kaminarimon - Great Location, Modern Rooms! Asakusa might not be the most central of location in Tokyo but most tourists still make it a point to visit because of the Senso-ji and Tokyo Skytree. Dressed in eye-catchingly bright hues, Senso-ji is the oldest Buddhist temple in Tokyo. It draws throngs of people day in day out. It's beautiful in the day, and as stunning at night. Sitting pretty right opposite the famous temple is The Gate Hotel, which plays host to visitors from all over the world. 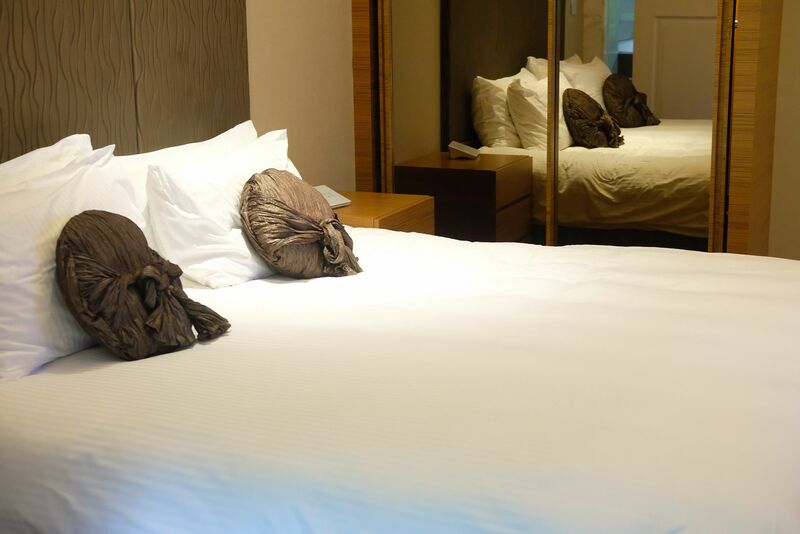 Located just about 250m from Asakusa Station, The Gate Hotel is near many eateries and bars. You can have supper at the popular Ichiran before heading to A.S.A.B (a quaint and cozy bar) for drinks. If you're up for a louder and more vibrant kind of bar, pop by Hub Jazz Bar for live performances and mingle with the crowd! If you prefer to drink in the hotel, The Gate has got you covered with their private bar that is exclusive to hotel guests. Knock back a couple of cocktails as you revel in a splendid view of the iconic Skytree. 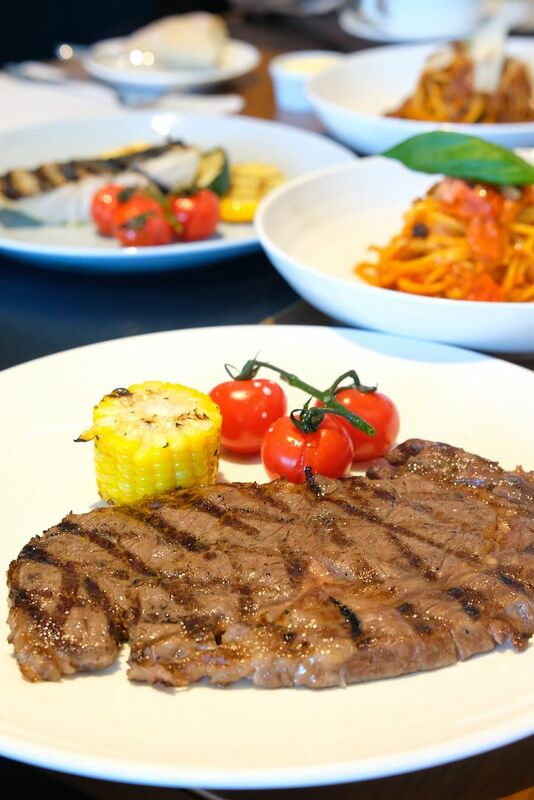 Zafferano - The Saturday Italian Table Brunch with Free Flow Champagne! 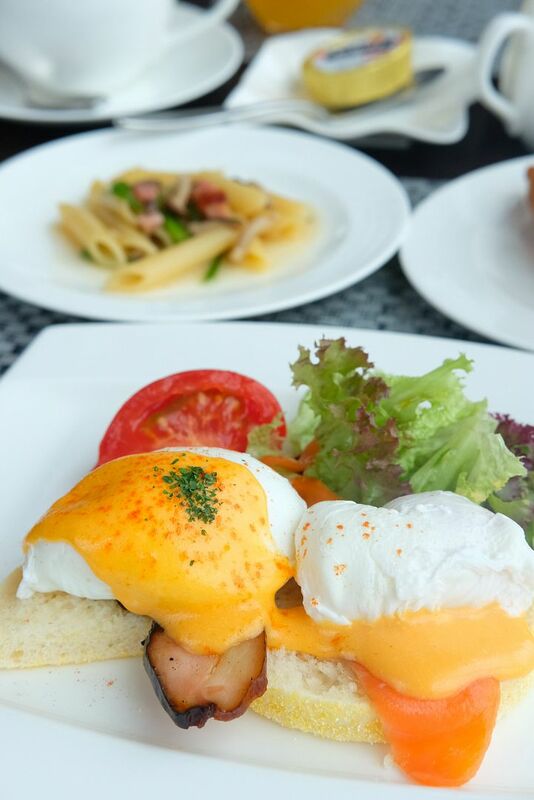 Indulging in a hearty brunch seems to be what most Singaporeans get up to over the weekends. But what's better than a hearty brunch? Well, if you ask me, an Italian brunch which comes with a free-flow of delicious treats, wine, and champagne certainly sounds more enticing! Zafferano's popular Saturday brunch has made a comeback due to overwhelming demand. 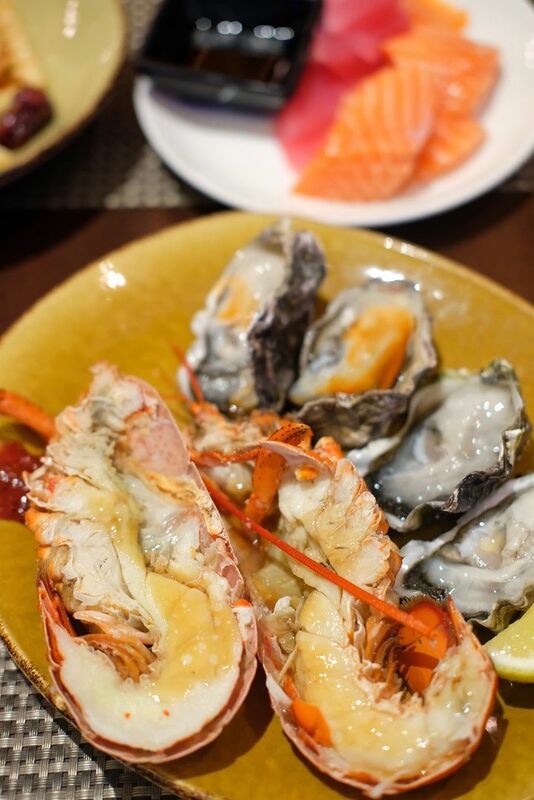 Perched on the 43rd storey of Ocean Financial Centre, the elegant restaurant promises a tantalising spread of classic Italian delights that will satisfy even the biggest eater, and the hungriest diner. One of my good friends visit Akashi on a really regular basis. I got a little curious and asked why he keeps going there. He told me that the omakase is consistently good. Sure, I've heard of Akashi and Akanoya but I've never dined at any of them because I've heard that a meal at either locations will strain my wallet. Well, but when his birthday came around and he wanted to have an omakase lunch here, how could I say no? It's a great chance for me to finally see how good Akashi really is too! Chef Emanuele Faggi is young, creative, and absolutely brilliant. The new head chef of Zafferano, a Tuscan native, has had stints at famous restaurants(including 2-Michelin-Starred Cracco Ristorante), before taking over the kitchen at Zafferano. Chef Faggi makes sure that only the freshest produce is incorporated in his dishes, and cleverly marries seasonal produce and authentic Tuscan flavours with contemporary touches. Chef also firmly believes in the reduction of food wastage, and ever since his arrival at Zafferano, the restaurant has seen a 70% reduction in food wastage. Amazing, isn't it? "How does Chef Faggi do it?" You might ask. Well, food discards are made into powder, seasoning, or used for plating! Intrigued? You need to try his new additions to the menu then! 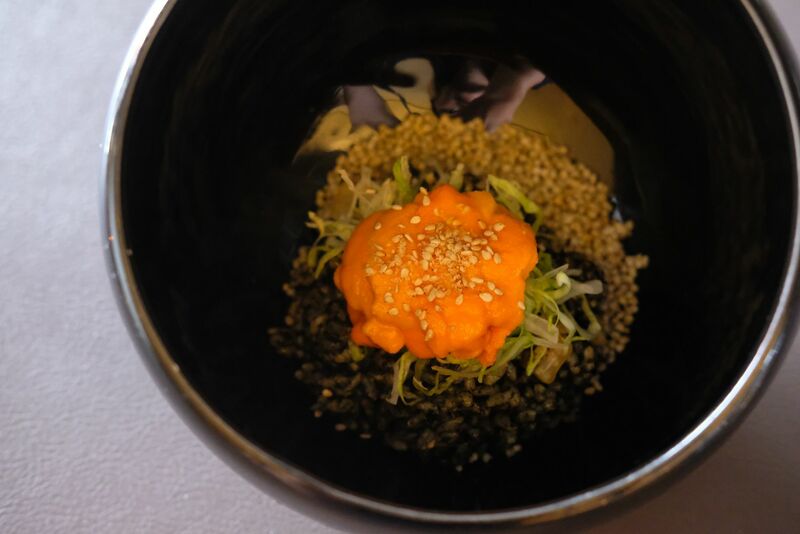 Two Hana - This New Cafe in Century Square Promises Tasty Korean-Western Fare! Seoul Garden Group opened not just one, but two concepts in the new Century Square! 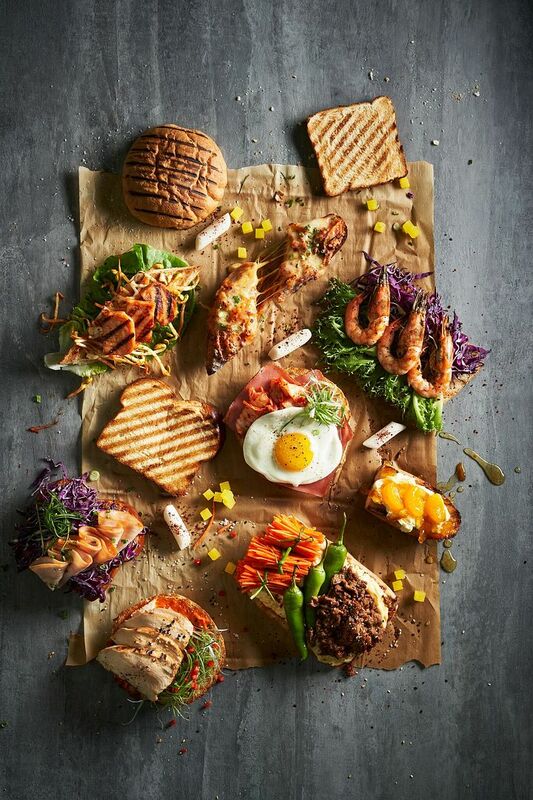 Melding Korean flavours with Western influences, the group has outdone themselves with the launch of Seoul in a Sandwich, and Two Hana. Two Hana secured a really prime location in the mall, and has proven to be exceedingly popular even during off-peak hours. Yeonnam-dong is where the cool kids go these days, because Hongdae and Samcheong-dong are way too packed with tourists. 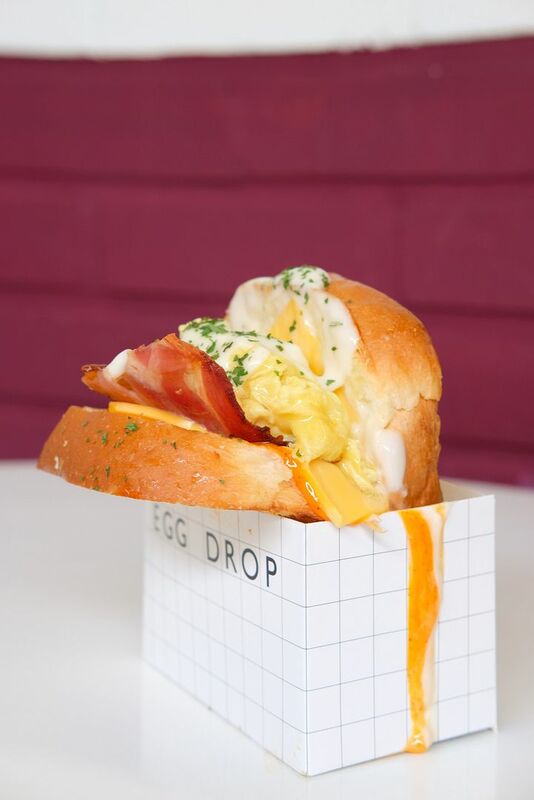 The influx of tourists in Hongdae led to the sprout of pretty cafes and a ton of eateries in Yeonnam-dong, which can be accessed from Hongik University Station. As you walk along the streets of Yeonnam-dong, you'll see interesting sights such as people having a picnic on the lawn, and young bands doing their stuff. It's very much like the Hongdae back in 2012, just more vibrant and lively. If you're keen on a cafe-hopping day trip to Yeonnam-dong, this article is for you! I rave about Edge all the time. Whenever anyone asks for a buffet recommendation, Edge is the first answer that pops out of my mouth. If you haven't been to Edge, you really really should! And there's no better time than now, because Edge has just revamped their spread with spanking new additions! 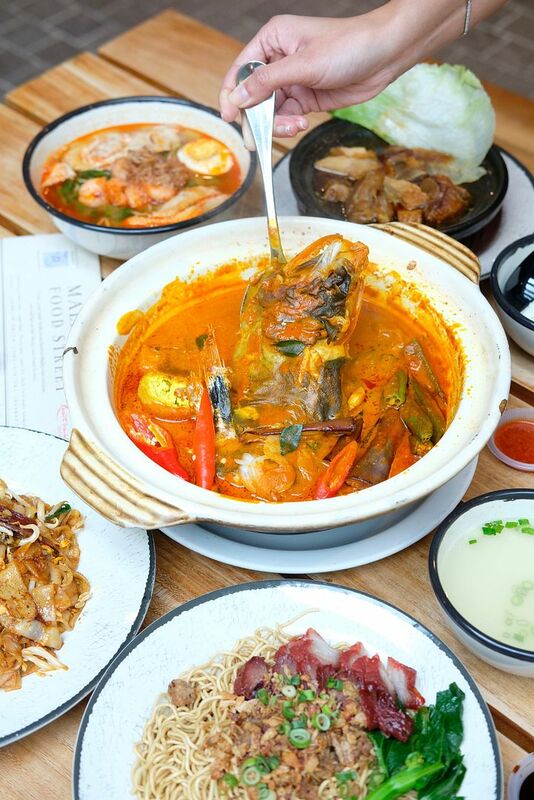 Look forward to an enhanced selection of seafood, a daily double-boiled soup counter, and a cendol and teh tarik live station, on top of an incredibly wide variety and numerous live counters. I have no doubt that you'll be dazzled by the selection that you have no idea where to start. Well, I usually go for the fresh seafood on ice and sashimi first! 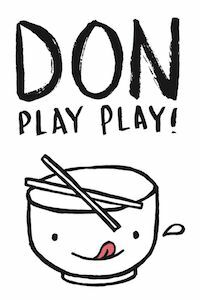 As you probably already know, I've been to Tokyo numerous times, and I LOVE LOVE LOVE sushi. 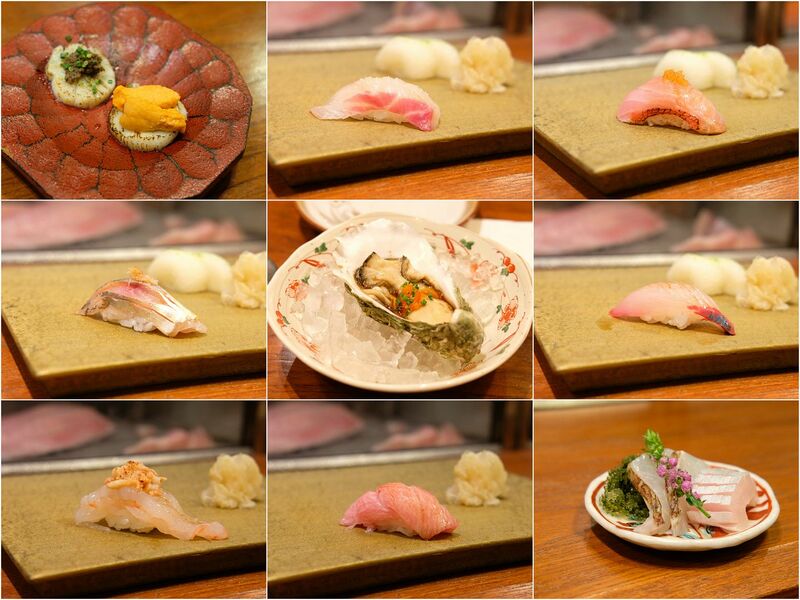 On my most recent visit, I made it a point to visit Tsukiji as much as I can to try out the sushi restaurants there. 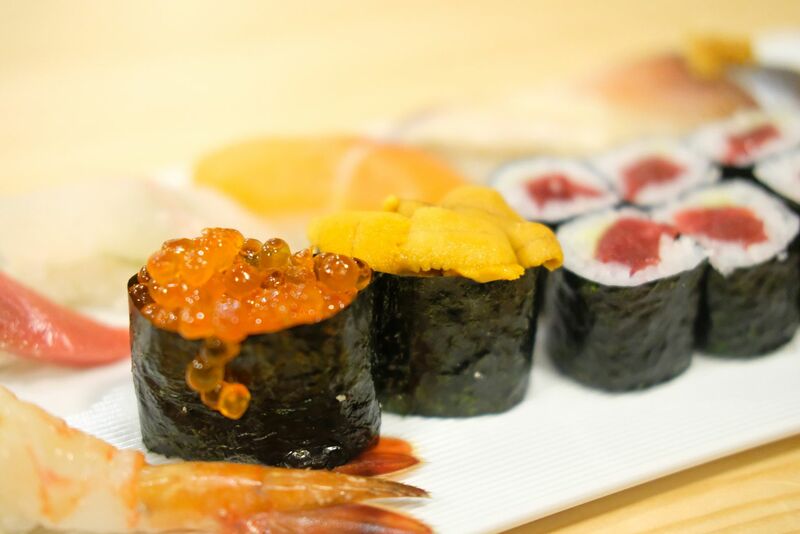 On top of multiple trips to the famous fish market, I also popped by a couple of mid-range sushi restaurants that are known for their affordable and absolutely delicious sushi omakase. 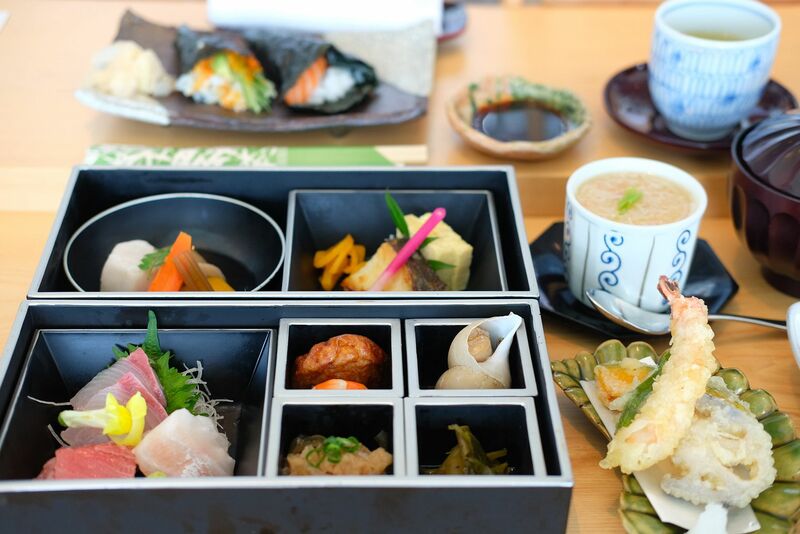 I was spending 4,300yen to 5,000yen on sushi sets in Tsukiji and none of these supposedly top-rated restaurants even came close to the 3 restaurants featured in this article. 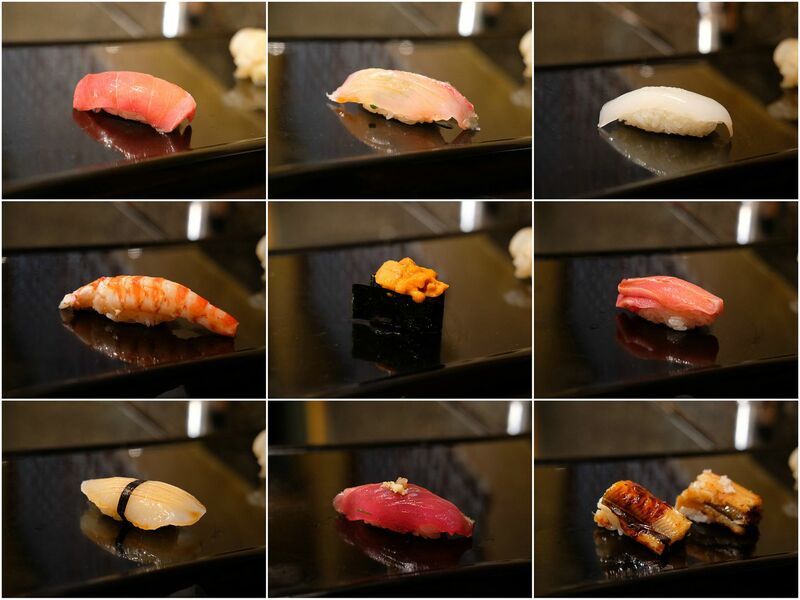 If you're a sushi lover too, you can't miss these three restaurants. Your sushi cravings will definitely be satiated and you'll feel like every penny has been completely and utterly well spent. Located in Odawara, western Kanagawa prefecture, is Hilton Odawara Resort & Spa which spans a jaw-dropping 230,000sqm. The 5-star hotel sits between the Hakone Mountains and Sagami Bay, and is just 30 minutes by bullet train from the bustling city of Tokyo. This makes it an extremely popular holiday destination for Tokyoites. The wheelchair-friendly resort boasts modern amenities, hot spring pools, a wealth of recreational amenities, 173 refreshed rooms and diverse restaurants. We rented a car from Odawara Station and drove to Hilton Odawara. There is free parking in the resort so you don't have to worry about expensive parking fees! 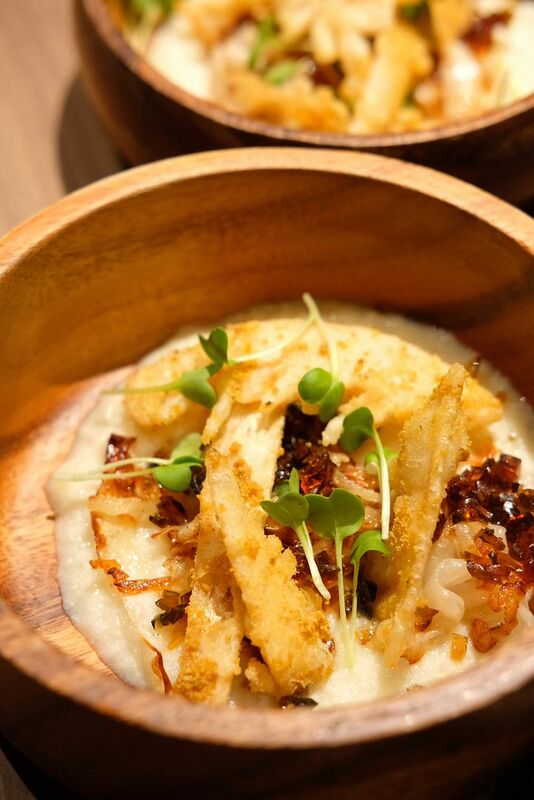 Masterchef Asia winner Woo Wai Leong's new venture, Restaurant Ibid, serves Nanyang-style, contemporary Chinese dishes that are inspired by Wai Leong's memories, experiences and relationships with his Chinese heritage. 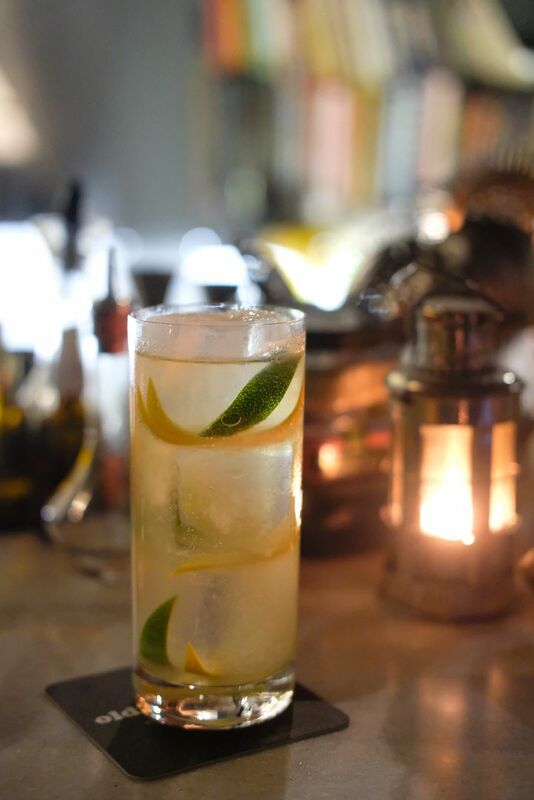 Set in a gorgeous shophouse along North Canal Road, Restaurant Ibid is sending out brave new creations that might just strike a cord with you, evoke nostalgia, and leave a deep impression. EN Sakaba should be quite a familiar name by now. 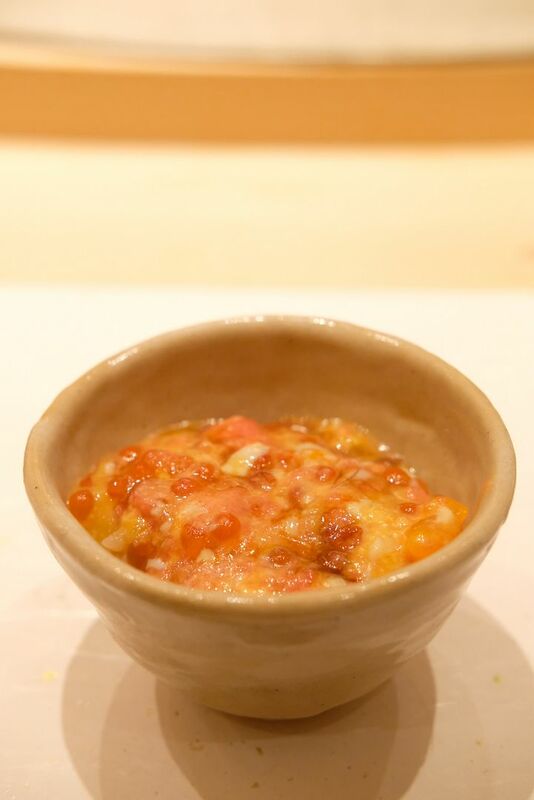 With multiple outlets across the island, the modern izakaya has attracted throngs of people with an attractive array of Japanese dishes that include chirashi don and yakiniku don. 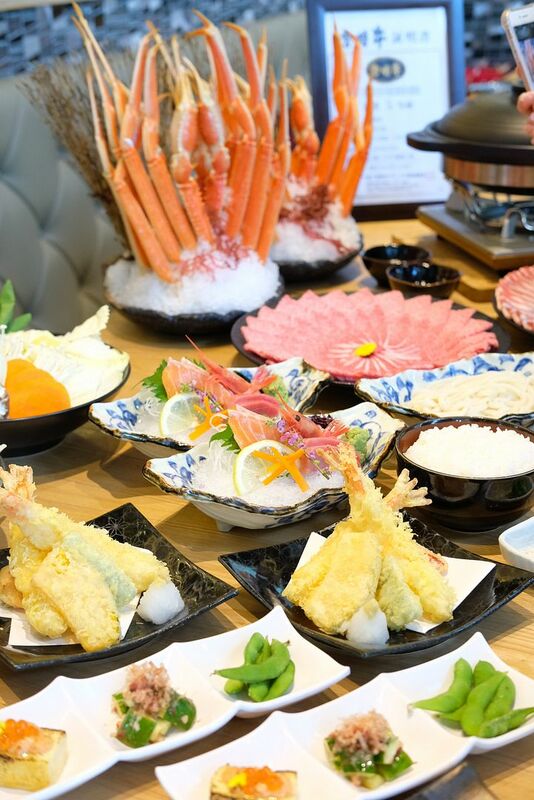 However, do you know that the best thing that EN Sakaba has to offer is actually their hotpot buffet which comes with a free flow of A5 Champion Miyazaki Wagyu, Zuwai Queen Crab, and Iberico Pork? This buffet was previously priced at $108 but is now going at just $78/pax. It's basically an insane deal that will leave you utterly satisfied and rubbing your tummy in glee. The brainchild of 3 young and immensely talented individuals, Pink Flamingo Bar by Prelude is poised to set the bar scene in Bangkok ablaze. The bar is owned by the same team behind Prelude. 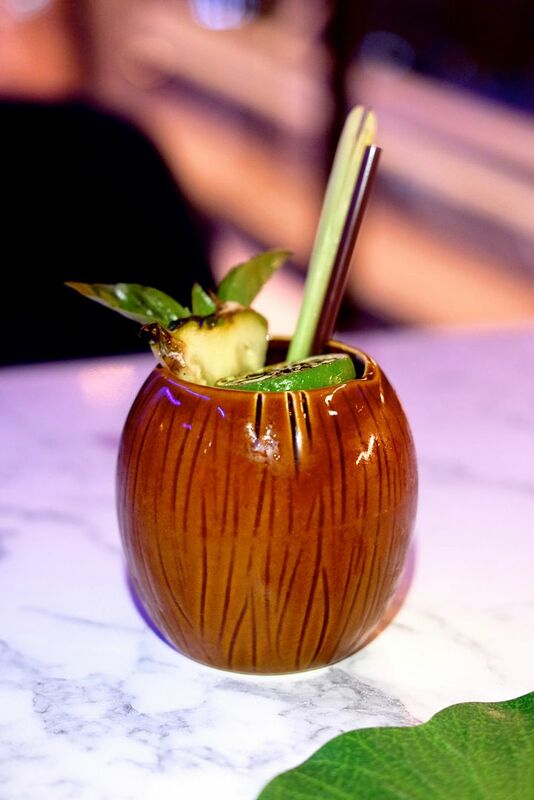 Pink Flamingo is hidden right behind Prelude, and sends out concoctions designed by head bartender, Calvin, who's born and bred in Singapore. The menu is built around ideas of supporting local products, local ingredients, and the movement towards sustainability. Origin Grill might be relatively new, but it certainly is here to stay. The solid outfit, which sits in Shangri-La Hotel, prides itself on putting some of the rarest beef on the plates of discerning diners. 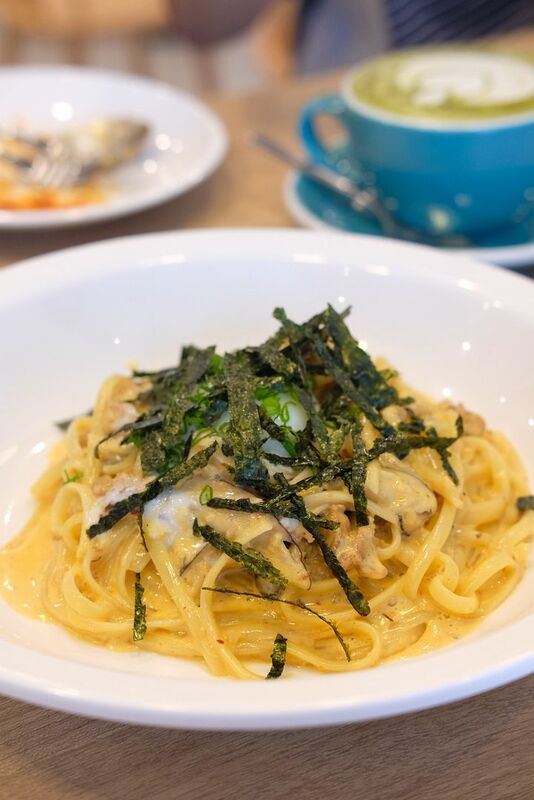 Many come here for the Shiro Kin Full Blood Wagyu and Snow-Aged Full Blood Wagyu, but do you also know that the chefs whip up really delicious pastas too? 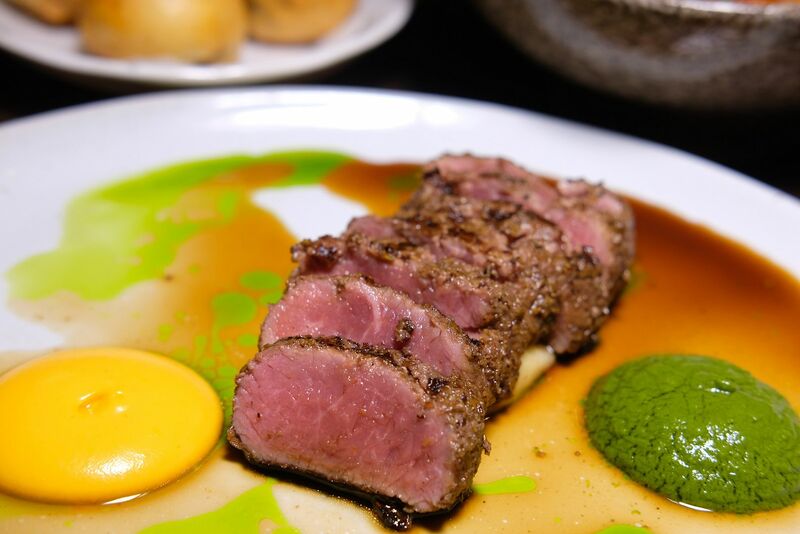 In addition, on top of having quite a spectacular collection of wines, and range of decadent sweet treats, Origin Grill goes a step further to please with an executive set lunch menu($34/$45) that can be described with just one word — unbelievable. Mangwon Market is loved by the locals. There are way fewer tourists here as compared to Gwangjang Market, or Noryangjin Market. I found the food offerings here to be more appealing than those available at the other markets. 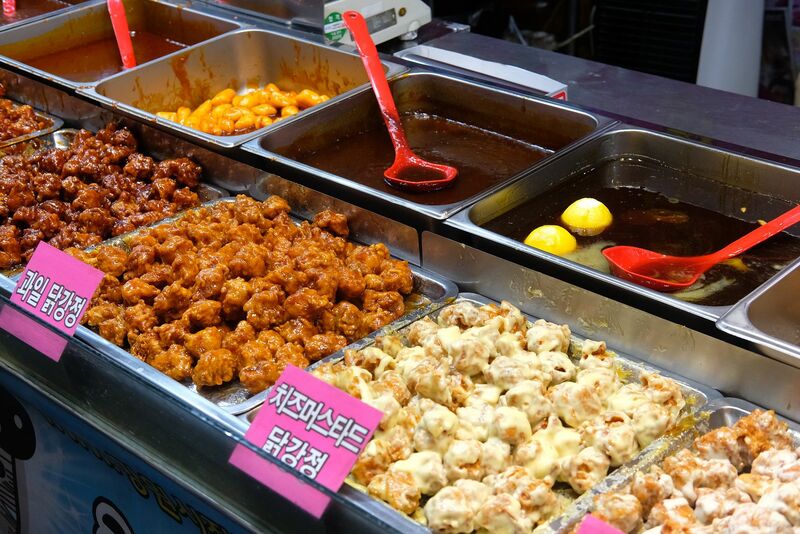 If you're thinking of coming by, this post on the must eats, or what to eat at Mangwon Market might be useful! If you’re heading to Seoul, DON'T DON'T DON'T stay at 24 Guesthouse Namsan in Myeongdong. I booked this room for 7 nights (22nd - 29th June) for $53.85/night via Airbnb. It's a single room with private bathroom and tv. When I checked in, I was told by the receptionist that they didn’t have a single room and they will give me a room for 2. I was confused so I said huh, and he repeated himself again. I thought he meant a twin bedroom or a double bed room. Guess what room I got? Resorts World Genting is constantly bringing new attractions and new dining options to visitors and guests. Although it's probably most known for First World Hotel and Genting Casino, the property is way more than just that. Home to 7 different hotels that cater to every budget, and group sizes, Resorts World Genting has made its mission to be one of the hottest one-stop travel destinations in Asia. Apart from a lxurious stay, guests can look forward to spanking new attractions, go on a shopping spree, and stuff themselves silly at internationally acclaimed restaurants. Here's a 3D2N itinerary for those looking for a short getaway from Singapore. 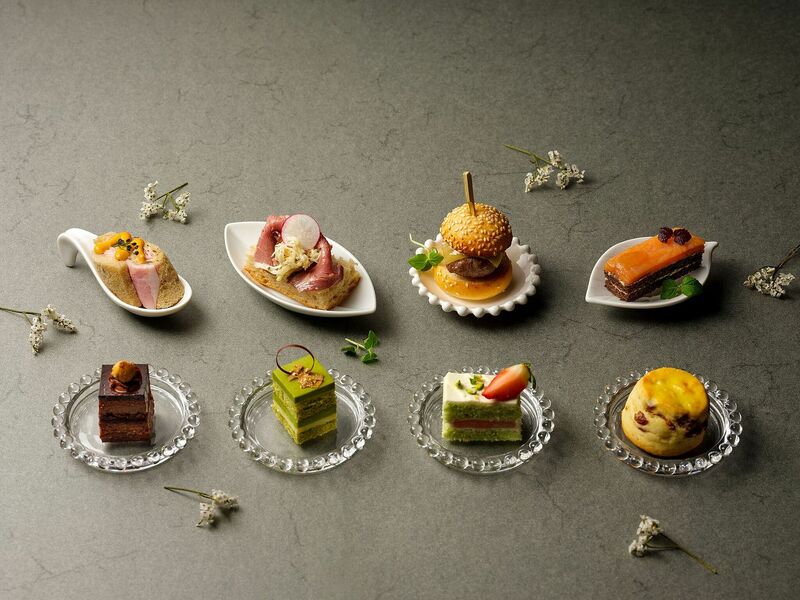 The Nostalgic Weekend High Tea Buffet at Pan Pacific Singapore will spoil you silly with its wide array of Peranakan signatures and incredible English delights. 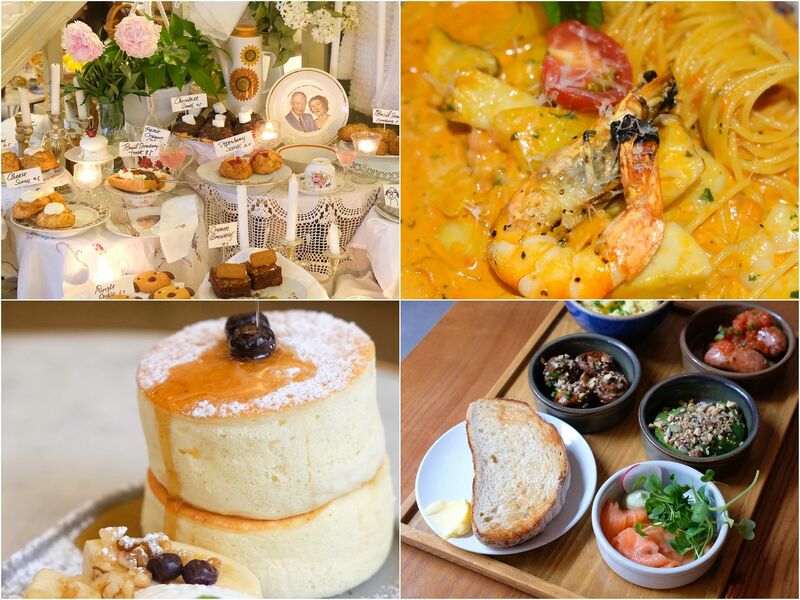 Look forward to Nyonya Chicken Curry with French Baguette, Otah Quiche, Pacific Lobster Laksa, DIY Kueh Pie Tee, and fresh popiah wrapped on the spot at the Peranakan section, and have your fill of mini Wagyu Sliders, Mud Crab Sandwiches, scones, tarts, and indulgent cakes from the English tea corner. The moment you look at the entire set-up, you'll instantly know that you're in for a real treat. There's just too many options, so be sure to come hungry! 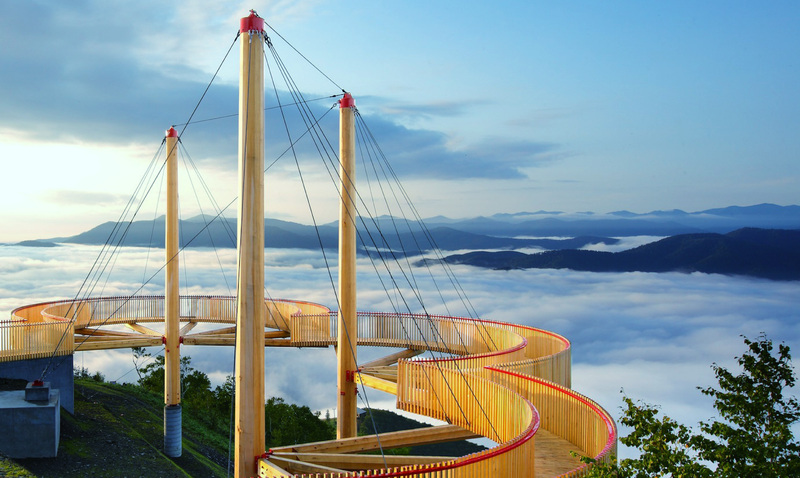 The Unkai Terrace in Hokkaido promises a mind-blowing and breathtaking sight. Go on a gondola ride up the mountain, be prepared to arrive above a sea of moving clouds, and be treated to one of the most beautiful sights. The journey here is definitely not an easy one, but good things are worth working for, right? The terrace is only open from mid May to mid October, and I'll recommend that you go in August or September for the best possible view. 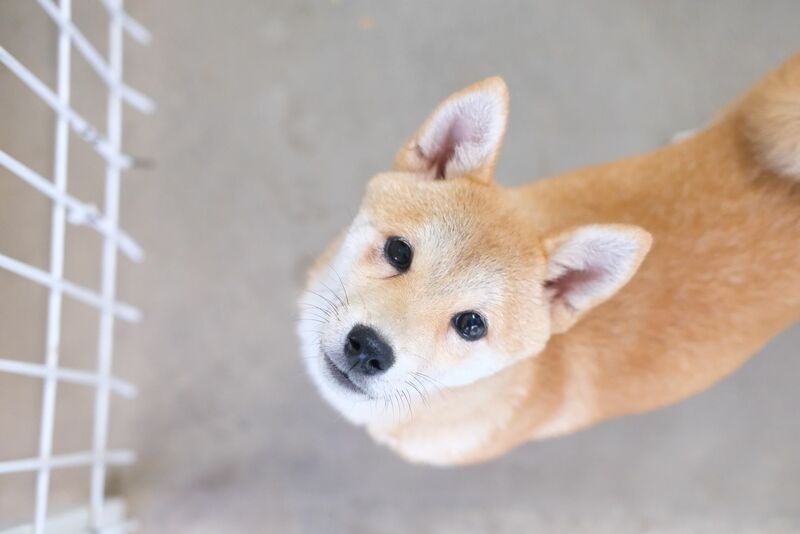 The type of unkai that you'll see depends on a variety of factors such as humidity and temperature. 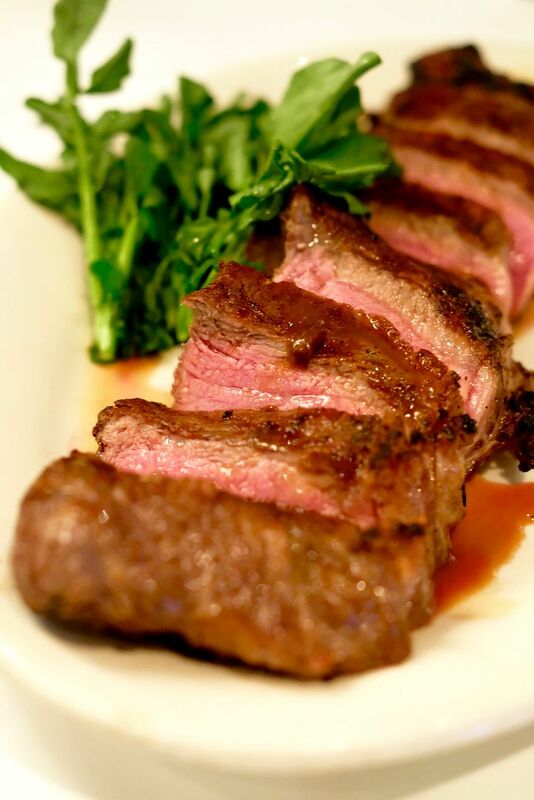 My favourite steakhouse has spiced up their Sunday Lunch Menu with tantalising new additions that will charm your socks off. Apart from the droolworthy selection of Morton's specialties and prime steaks, Morton's has kept their value-for-money three-course lunch set which goes for $98++. Exciting new dishes include Short Rib Tacos and Beef Tenderloin Sandwiches. Morton's also pays homage to the all-time favourite BLT, with their rendition of Crab Cake BLT. 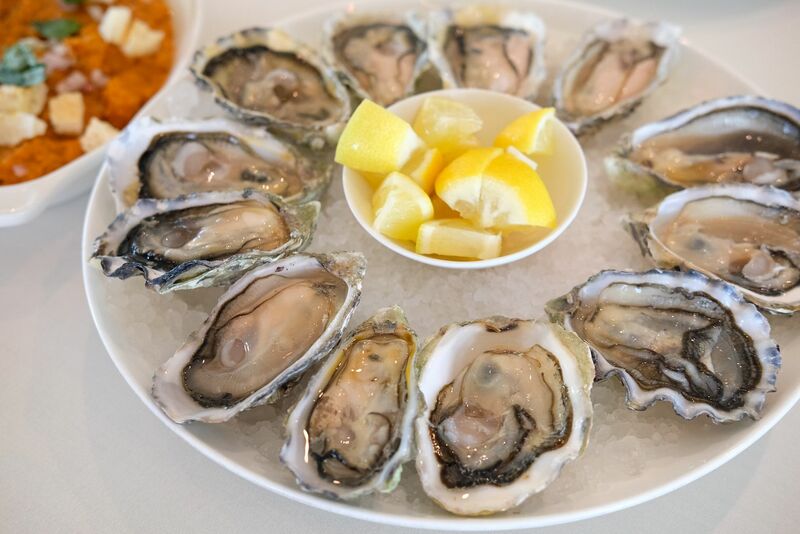 Morton's might be known for their steak, but they are quite the master when it comes to seafood too. I tried their Honey-Balsamic Glazed Salmon Fillet before, and was utterly mesmerized. The Tateyama Kurobe Alpine Route, which is accessible from different prefectures, is known as the “Roof of Japan”. The entire route is 90km long, and it's not open throughout the year. There are many beautiful and breathtaking sights along the way. You can even stay at one of the hotels, if you're interested. 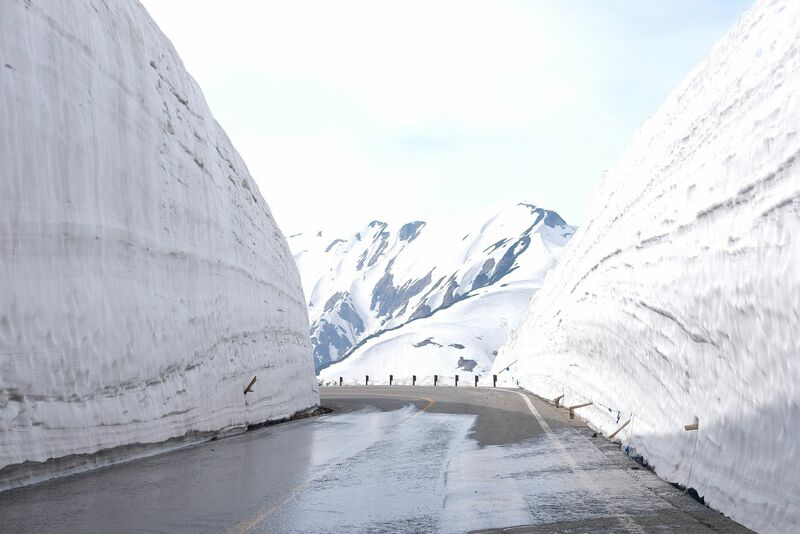 In April, the roads up Mount Tateyama(which experiences some of the heaviest snowfalls in the world) are cleared and a snow canyon is, hence, formed. The majestic snow wall, which draws thousands of visitors who are willing to brave the long journey, is only open from mid April to mid June. Our journey from Takayama to the snow canyon took about 5 hours, and involved train rides, cable car rides and bus rides. The route closes pretty early so be sure to get here as early as possible so that you can spend ample time here. Ibaraki might just be the most underrated prefecture in Japan. It's pretty near Tokyo (about 2 hours away) and it's easy to get here. You can choose to take a train or bus to Ibaraki. Most people visit Ibaraki for two reasons — Kairakuen (especially during plum season) and the Hitachi Seaside Park. 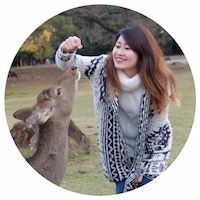 However, there's a dog amusement park, castle ruins, Tsukuba Space Centre, Fukuroda waterfall, museums, shrines, Mount Tsukuba, and many more attractions. Ibaraki's close proximity to Tokyo allows it to be the destination of a quick day trip from Tokyo. However, if you have time, we will recommend that you spend at least 2 fulls days here. We were in Ibaraki for 2 days, and we used Mito, the capital city, as a base to explore. Ibaraki, which is considerably near Tokyo, is known to be the home of many educational institutions, especially colleges. While you're walking along the streets in the capital city, Mito, you'll see tons of school kids dressed in smart uniforms. Mito is a good base for you to explore some parts of the prefecture. 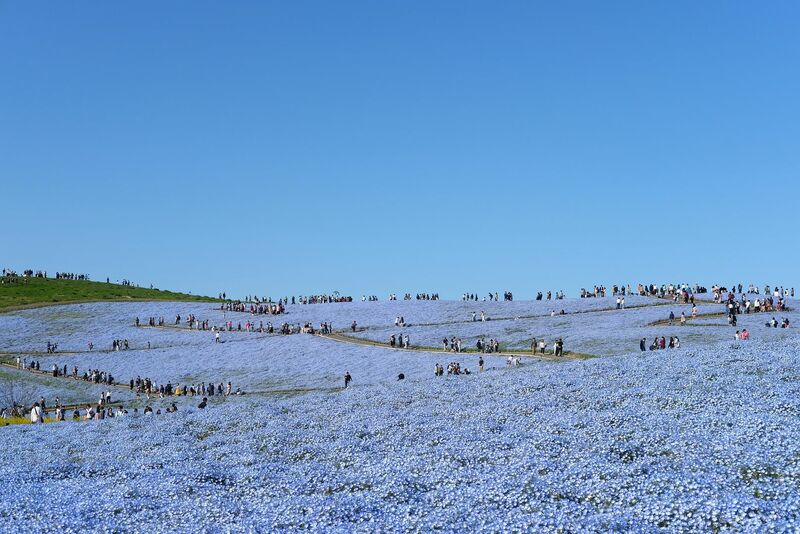 A key attraction will be the Hitachi Seaside Park which is blanketed in different flowers throughout the year. Tsukuba Wan Wan Land, a literal doggy wonderland, is hardly visited by foreign tourists, but is very popular with the Japanese. It might be a little difficult to get here, but I promise you that it will be worth the time and effort. Where else can you play with and spend quality time with so many dogs? Tucked away in Hitachinaka, Ibaraki, is the famous and iconic Hitachi Seaside Park that draws thousands of tourists and locals throughout the year. 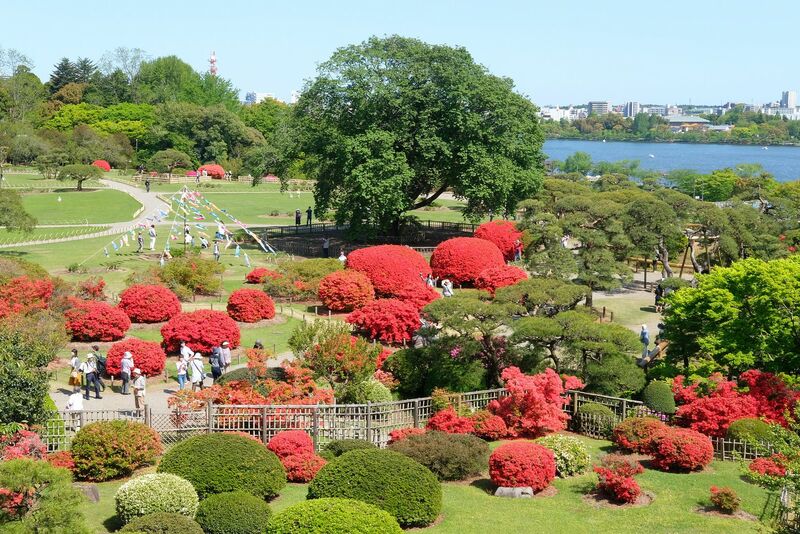 The park is located on the Pacific Ocean side of the Japanese coast and occupies a total area of 350 hectares. Japan experiences four seasons a year, and the Hitachi Seaside Park reflects the transition and change of season through the blooms that span the vast land. The blue flowers that you see here are called Nemophila. 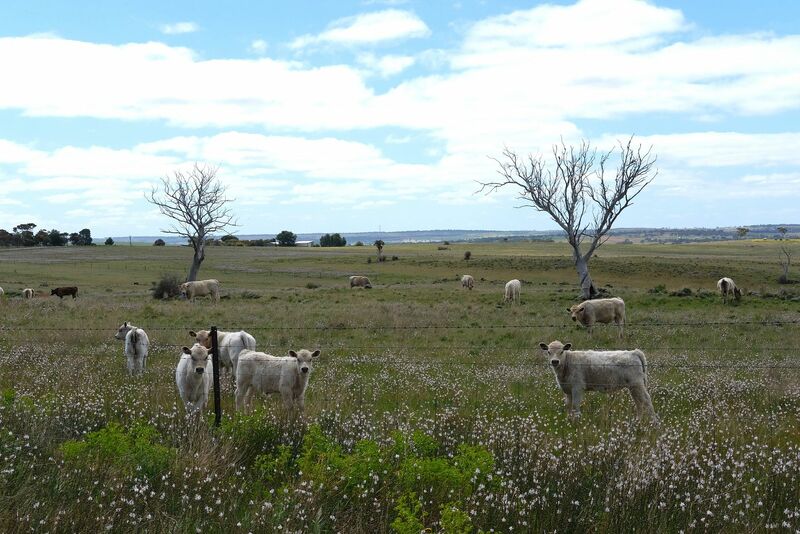 They appear in April and stay for about a month. The park is blanketed in a variety of colours(depending on which flower is in bloom at that moment) as the seasons come and go. If you're wondering what other flowers you can spot here, Hitachi Seaside park sees the full glory of roses, tulips, kochia, poppies, sunflowers, and more! So, you gotta be sure which flowers you wanna catch before you plan your trip! It's no secret that I love Pan Pacific Singapore. From Edge, which I believe has the best buffet spread in Singapore, to Pacific Marketplace, which has some of the most refined and unique entremets, to Atrium, where diners can dive into a beautiful selection of high tea delights, to the highly acclaimed Hai Tien Lo which consistently delivers delicious Cantonese fare with a modern twist, Pan Pacific is truly a food haven. 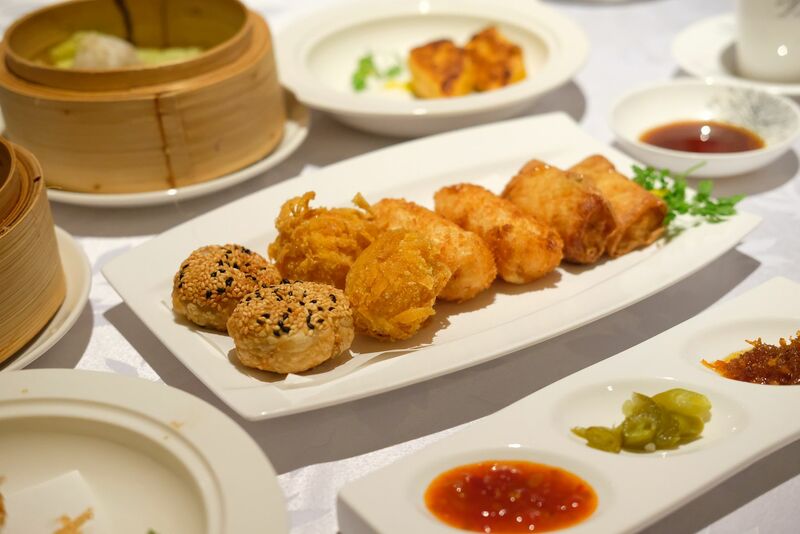 Recently, Hai Tien Lo refreshed their dim sum buffet and there's so much to look forward to — a hot soup, unlimited servings of dim sum, 3 choices of Hai Tien Lo specialty dishes, 2 choices of dessert and a bowl of Chilled Homemade Bean Curd with Bird's Nest. NAMI has been making waves ever since its opening. Perched on the 24th level of the Tower Wing of Shangri-La Hotel, the fine-dining restaurant boasts panoramic views of the city, and delightful traditional dishes crafted with the freshest and finest seasonal produce. 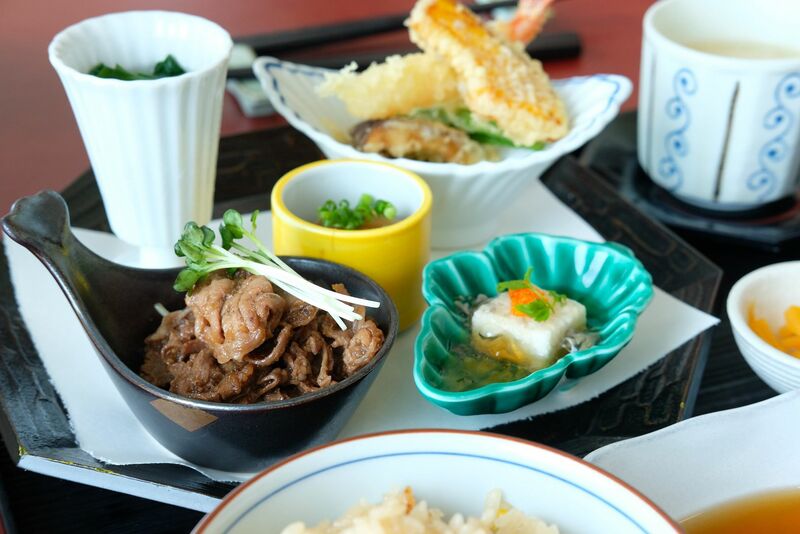 If you're seeking authentic and delicious Japanese food, NAMI is definitely where you should be headed. NAMI is also holding sushi making classes, for sushi fanatics who will love to roll out some gorgeous hand rolls for an upcoming party, or just be equipped with the basic skills of making sushi. 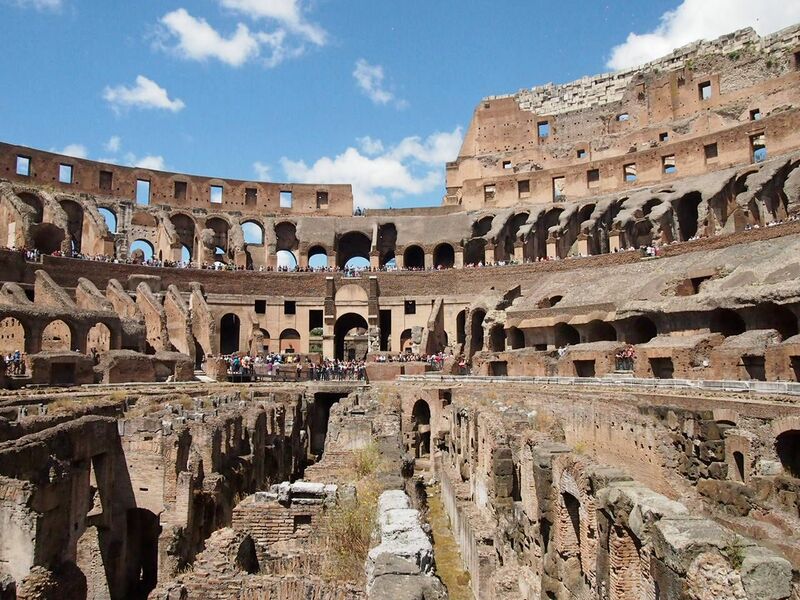 We spent 4.5 days in Rome and accomplished a great deal! 4.5 days is definitely on the longer side but we were able to explore Rome at a more relaxed pace. Here's a list of the things that we did, or places that we visited, in Rome and we've included 10 survival tips at the end of the post. Hope you'll find this post helpful!